Eco Team- Purpose, What we have achieved and our next steps. Did you know that in many parts of the world, non-renewable energy resources are being used up rapidly? Did you know that some of these can be harmful? For example, Veronica has been using a paraffin lamp which gives off dangerous fumes, so she can see to study in the evenings. 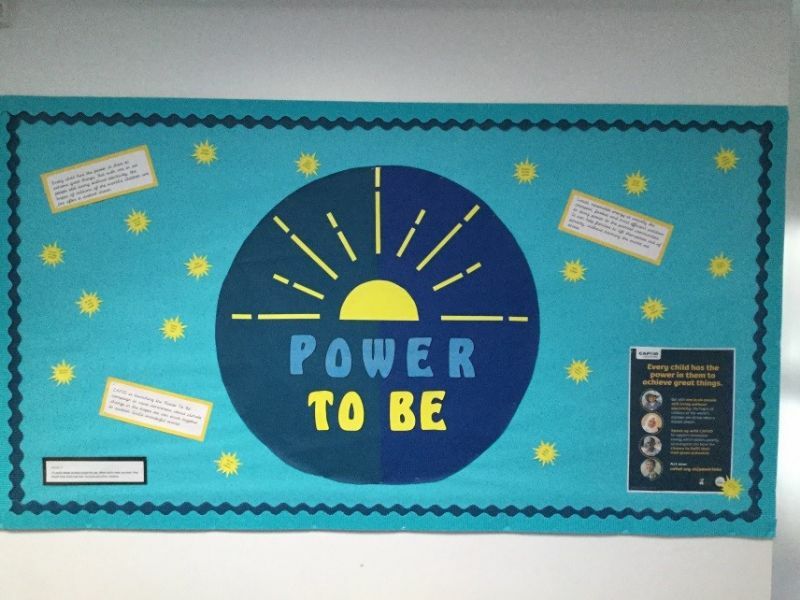 CAFOD has launched a Power To Be campaign! St. Norbert’s Catholic Primary School have joined the Power To Be campaign to help people like Veronica gain access to renewable energy sources, such as solar panels and wind turbines. These renewable sources of energy are safe for the environment and will never run out. lThe aim of the Power To Be campaign is to raise awareness of the need for renewable energy sources in less affluent parts of our world! We are sharing the message to encourage the World Bank to allocate more money to this important issue. How can you get involved at home too? You can help raise awareness simply by telling others about the campaign! You could post your thoughts and actions on twitter #CAFOD Power To Be. For more information, have a look at the CAFOD website. Article 4: You have the right to be in an environment where you can grow and reach your potential. Article 24: You have the right to a clean and safe environment. Article 29: Your education should help you to learn to live peacefully, respect the environment and respect other people.